A decent, low-key society wedding in Lagos last year would have cost somewhere in the region of N7 million to N10 million and I’m talking about a no frills, bog standard, it’s all over by 6 p.m. society wedding. Putting a nice round figure to it, in today’s money, that’s something in the region of $25,000. In, reality however, most society weddings that you attended or heard about in 2017 would have cost upwards of N14 million (38,000 good old American Dollars). Of course, it’s possible to have a wedding in Nigeria and spend less than N2 million. Heck, if your budget is N500k and you want to get married, you can get married and move on with your life but the weddings I’m talking about are the Instagram hashtag weddings; the champagne flowing, BellaNaija tweeting, shut down the streets weddings. Let’s put things in perspective for a minute and take an average cost of say N10 million for such a wedding. That’s about $27,000. This includes the cost of the rings, dress, and reception but excludes the cost of the honeymoon. Guess how much the average wedding in America was in 2016. It was $35,000. Average wedding cost in the U.K? $36,000. Average cost of a wedding in Dubai/ U.A.E? $27,000. So you might say that Nigeria is cheaper or at least at par with what obtains globally and things are not that bad. After all, in most Nigerian cultures, there are effectively two ceremonies so it’s two for the price of one. Well, read on. 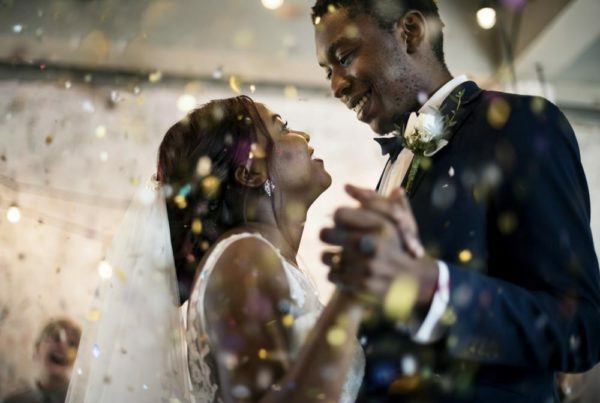 What’s the average cost of a wedding in South Africa? $7,000. Don’t open the calculator app on your phone, that’s equivalent to N2.5 million. Yes! The statutory cost for a wedding in Seychelles adds up to just over $500. Add the cost of a ceremony for 30 people plus photographer, cake and all the other trappings, you are still talking less than $3,000 in my estimation. 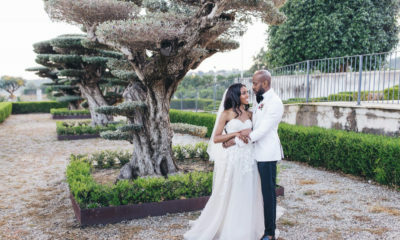 Africa is slowing becoming the go-to wedding destination of the world especially beach resorts. Besides South Africa and the Seychelles, you can still choose between Zanzibar, Mauritius and even Kenya. Sure, you have to factor in the cost of travel and lodging but you won’t be paying for all guests will you? Travel to these destinations plus 1 week lodging will cost about $2,000 per person and you are paying for two or maybe six (bride, groom and both sets of parents. That’s still under N5 million and everybody gets a 5 day holiday out of it. The downside is that many of your friends may not travel with you because of the cost. This might be an issue if you are 26, in your fist job and your spouse is just finishing NYSC. All your friends will likely be in a similar financial position; but if you and your wife are over thirty, I would like to think that you and your crew would have gotten a good financial foundation and can afford to join you. So in summary, if a society wedding that everyone talks about for months after is what you are planning for, $10,000 to $15,000 seems to be the starting point for an African destination wedding and that is still under N6 million. Tunde is an insurance distribution professional and financial planner. 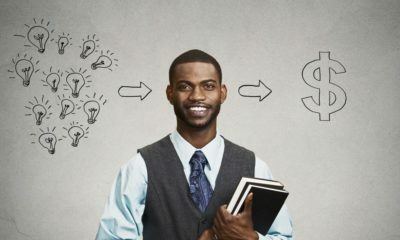 In his spare time, he writes a blog on personal finance (talkingmoney.com.ng) which shares advice, inspiration and tips on how to keep more of the money you earn and do more with the money you spend. can u people as nigerians go a day without talking about wedding or marriage. god forbid. this is such an unintelligent topic and the writer of this article is a dude not even a girl for that matter. It all depends on finding good vendors with decent prices….not just the overflooged IG vendors who want to collect peoples annual salaries for one day event…. Also depends on how the couple r willing to source for things such as dressesor suits….know a couple who went to balogun to search for suits and the groom looked amazzingg….it musnt be made by Mai Atafo to look good….instead of ordering shoes from manolo Blanik….check on Macy’s or even Asos for nice alternatives…insteas of using fresh flowers at N70k….Use plastic but very nice looking ones that go for about quarter the price…. You know, overseas is also trekking across the border to Cameroon! As we are going to do destination wedding ‘in the abroad’, which of these other countries thst we so gleefully promote come to destination wedding in our own obodo Nigeria? Love this article. There is something for everyone. Tunde Lawuyi: So You Want To Be A Millionaire?